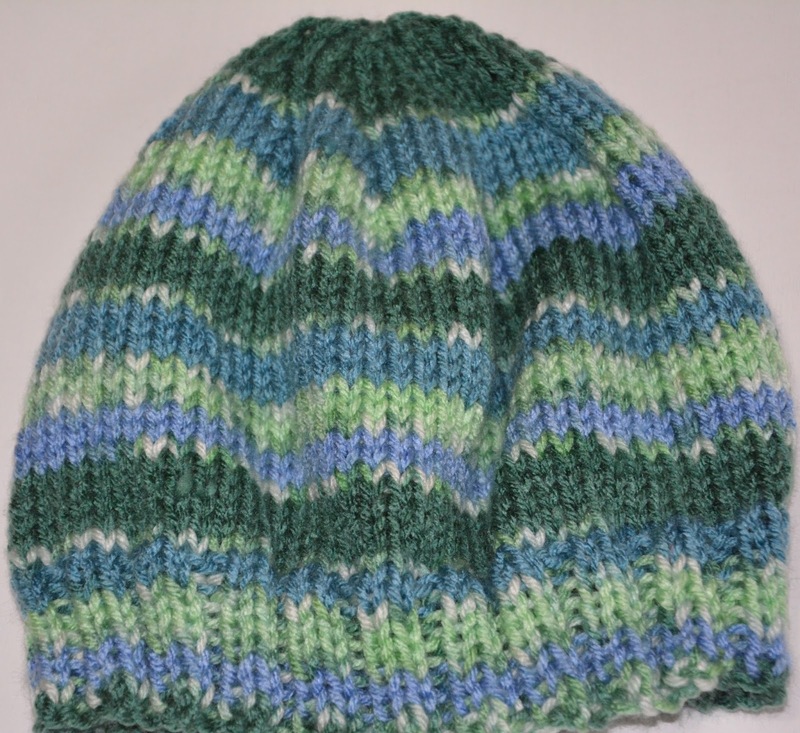 This is the second knitted hat I finished. I really like the yarn - no need to keep adding colors, they are all in the skein! (see yarn details on this post). Will work on similar hats with different color schemes for my boys, two nephews... The Christmas list keeps growing. Speaking of Christmas, just mailed a box with Christmas gifts to Brazil: Yeah! Now I will focus on finishing the ones I need to send to my son in California and in-laws in Maryland. I have a few wall hangings ready which I made throughout the year, and am working on a few other quilted things. In between, maybe I can finish the wall hanging which has been 'decorating' my design wall for a week now. Another one that needs to be quilted is the Christmas row quilt I finished last December (see post here). I bet your 'to do' list is long, too! It is fun to have different projects in the making, just as long as we get to finish them all (or almost all). When I am done with Christmas gifts I like to search my cabinets for quilt tops that need to be quilted. It feels good to start the year with a few projects completed.